Check out the most updated and latest information about Rhea Sharma's on the Internet.We have 12 videos of Rhea Sharma including interviews, events, or public appearances.Rhea Sharma has over 66 Fans registered on India-Forums.com. 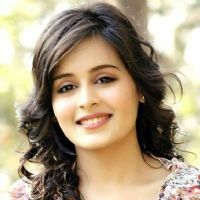 We have 87 Television News articles related to Rhea Sharma.Do share your criticism, comments and feedback for the Actor on Rhea Sharma's comments page. We have over 9 Photos of Rhea Sharma to view and download including Rhea Sharma's Wallpapers. Love you Rhea. All the best for your new show. Loved your recent interviews Rhea Sharma ... wishing you all the best for YRHPK!!! Love you Rhea Sharma you are beautiful onscreen and off. All the best Rhea Sharma !!! Looking forward to yeh rishtey hain pyaar ke !!! All the best Rhea . We wish you to see you once again with Avi in near future. Rhea Pl come back soon. We are missing you so much. Waiting for your new show Rhea Sharma... :) all the best!!! Hey genelia doppelgnger but very adorable in your own right! Can't wait to see u back! Just discovered u with TSMSP and I absolutely adore Kanak Rathi nee Umashankar.